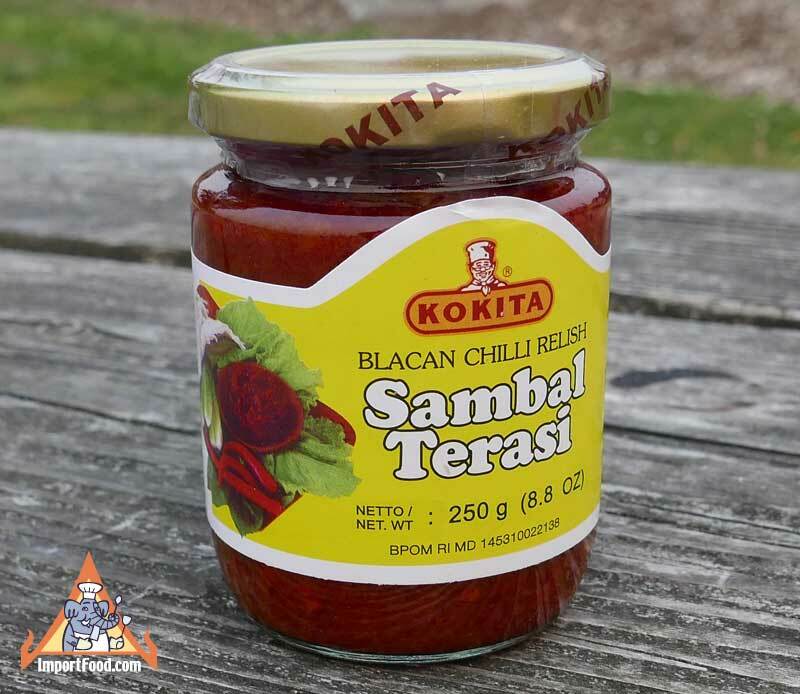 Sambal terasi is an Indonesian hot and spicy sauce of incredible depth and complexity. We love this product which is similar to sambal oelek but more rich in flavor and is made with oil and shrimp paste. The heat level is high, and it will make you sweat if you eat too much, but it's also chunky and sweet. Use this to flavor Thai-style soup, along with fresh Thai basil, or add it to anything such as burritos or baked potatoes or anything that strikes your fancy. Ingredients: red chile, sugar, tomato, cooking oil, shallot, blacan (shrimp paste), salt, sodium benzoate. Product of Indonesia.